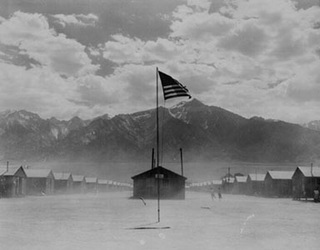 what it was like to grow up behind barbed wire in the U.S.A. 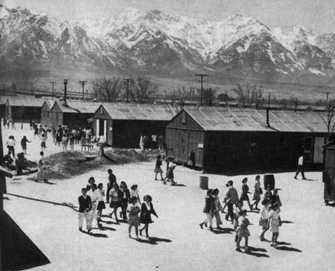 In the Japanese American internment (1942-1945) the American military, with the help of the Census Bureau, sent 110,000 Japanese Americans to live in prison camps during the Second World War. 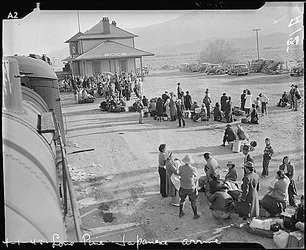 All the Japanese Americans in the state of California were sent as well as some in Oregon, Washington, Arizona and about 1% of those in Hawaii. Two-thirds were American citizens! And yet despite that, they lost their freedom and most of their property without due process of law, without having done anything wrong. The ACLU would not fight for their rights. And when their cases did get all the way to the Supreme Court, the Court said that Japanese Americans were a threat to the country – even though they had no solid proof of that, just the racist fears of other important white men. The FBI, unlike the president, the generals, the newspaper editors and the Supreme Court, dealt in facts, not racist fears. 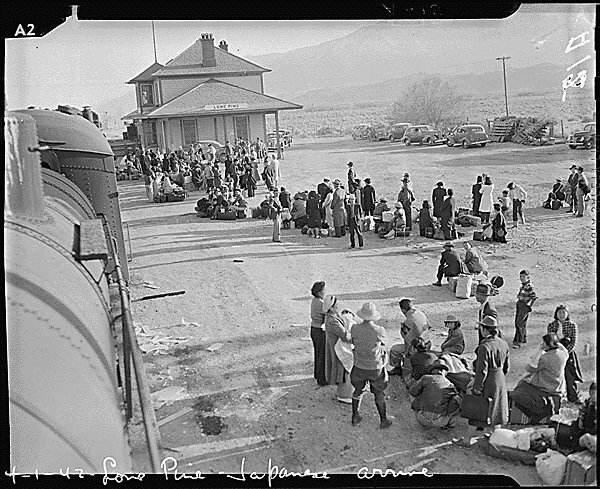 They were against the internment: they had already rounded up all the Japanese Americans who might be a threat, just as they had rounded up all the German and Italian Americans who might be a threat too. 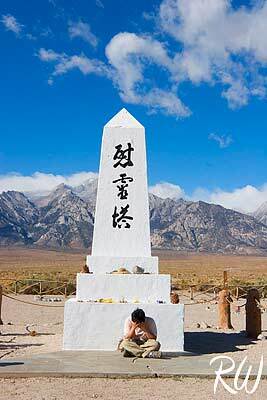 The FBI knew that apart from a few crackpots Japanese Americans were not a danger. 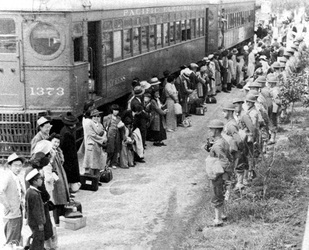 But while whites could see Italian and German Americans, fellow whites, as individuals and know that few of them were a threat – even with German U-boats right off the east coast – their racism did not allow them to see Japanese Americans that way. They were successful farmers – proof that they wanted to take over. They seemed so innocent – proof that they were hiding some terrible plot. Many had taken on White American ways – proof that they are trying to fool white people. Whites would not hire Japanese workers – so the Japanese must hate whites and want to get back at them. Whites thought the Japanese all looked alike – so how could they tell who to trust? Whites had a hard time reading Japanese faces – so how could they tell what they were thinking? 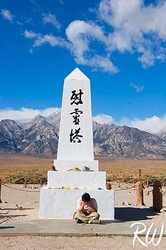 It was assumed rather that proved that Japanese Americans, because of their race, had more loyalty to Japan, a country most had never even seen, than to America. It was racism not military necessity that drove this. 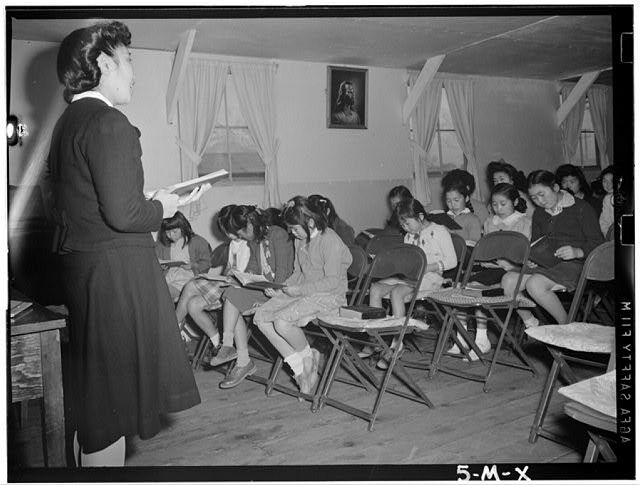 After all, Hawaii, the home of the Pacific Fleet, had more Japanese Americans than California – about a third of all Hawaiians were Japanese American - and yet only 1% of them were interned. Years later President Ford apologized. In 1988 everyone who had been interned who was still alive received $20,000 from the government.